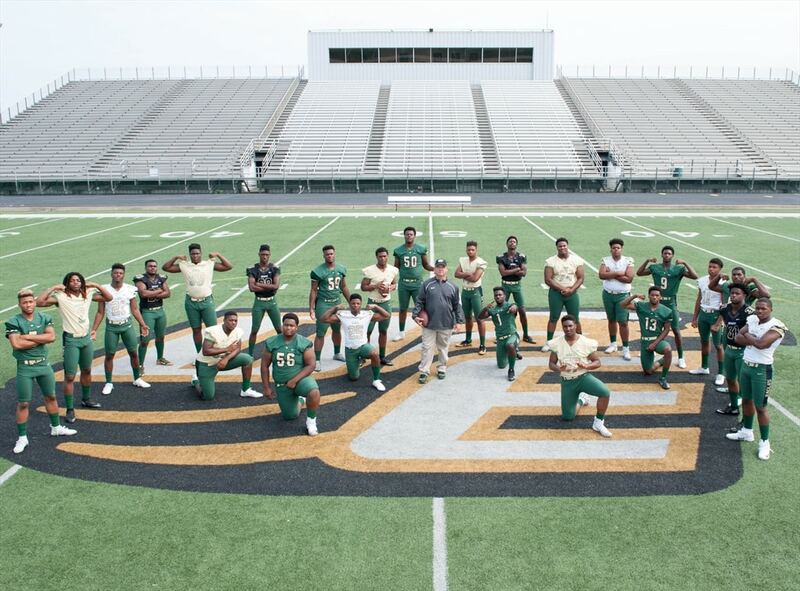 DESOTO—This Friday, DeSoto High School Head Coach Todd Peterman and his Eagles will find touchdowns will have an impact on more than just the game at hand. Football coaches don’t typically need much motivation to put more points on the board, but this Friday will be different. The Eagles will participate in the first ever Touchdowns Against Cancer campaign, which is sponsored by MaxPreps and PLEDGE IT. By visiting the website and following the prompts to DeSoto High School, fans and the community can donate to the St. Jude Children’s Research Hospital on a per-touchdown basis over the next three games. Donating is quick and easy! “It was presented to us through Max Preps. We’ve never participated in a fundraiser for anything, but I thought it seemed like a neat deal,” said Peterman. For example, if a person were to donate $5 and the Eagles put up 15 touchdowns against Irving MacArthur Friday, 7:30 p.m. at Eagle Stadium, $75 would go to St. Jude Children’s Research Hospital. “We didn’t set a goal other than scoring a bunch of touchdowns,” he joked. 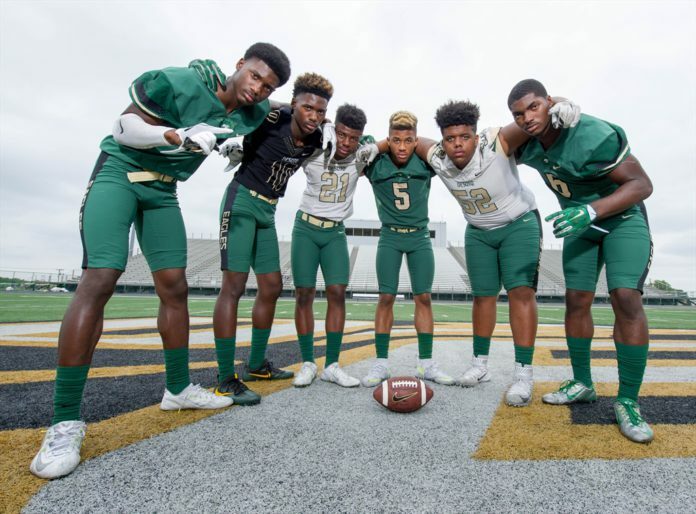 Touchdowns Against Cancer is important to the DeSoto Eagles because childhood cancer causes more deaths among young Americans than any other disease. This is their way of helping the 16,000 children and adolescents who will be diagnosed with cancer this year. St. Jude Children’s Research Hospital is leading in helping the world understand, treat and defeat childhood cancer and other life-threatening diseases. St. Jude freely shares the discoveries it makes. Every child saved at St. Jude means doctors and scientists worldwide can use that knowledge to save thousands more children. Peterman said the cause touches him on a personal level, and, as is the case everywhere, many people in the DeSoto community can relate. Peterman lost his mother to breast cancer in 1999. Even before this tragedy, Coach Peterman has been a staunch supporter of cancer causes. His only requirement for his players is … all for one and one for all.